So our next task in the digital business course was to answer a few questions regarding the materials given. In this blog post I will answer those questions based on the materials and my own opinions. 1. Do you see digitality impacting worklife based on the material provided? If yes, how? 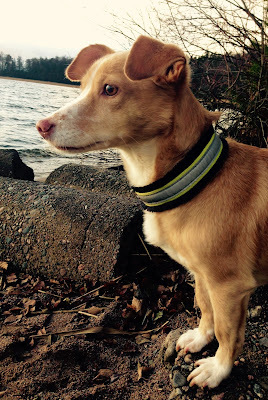 How does Jussi Rautjärvi lead a digital business? In my opinion digitality impact work life a lot. How could it not, when it's being such a big part of our everyday life nowadays? I think this video (link) above tells more than a thousand words. Just in a little over 30 years things have changed rapidly. And I think it has become better. All those huge equipment's have been squeezed into one super machine, the computer. Now only the sky is the limit. Wow? Digitalization have also brought social media into the working life. It's been used by millions of users and has a big impact on people in a lot of different cases, like when shopping new products, whatever it may be. So especially within B2C business social media is highly used. But while doing our social media strategy project to a company in a very creative business field, I was quite surprised how little these type of creative businesses use social media in B2B! It may be more difficult to use social media when marketing to companies, but after all, there's always at least one human behind every company. Maybe this will change in the future? Here's a video (link) which probably many of you have seen before, but I think it's quite impressive what social media has become to. It connects so many people, cultures and even businesses. 1. Define the starting point. Where are you now? Where are your company now? 2. Make things possible in your company. 3. Create a culture of measuring and testing. After these three points Rautjärvi states: just trust your people and let it happen! Great advice, don't you think? 2. What kind of opportunities Sani Leino describes about Augmented Reality and Pokemon Go? What is your opinion? This next answer bases on Sani Leino's article of The Pokémon Effect, you can read it here! First of all the article starts by listing the goals that John Hanke, the developer of Pokémon Go, has set to the game: 1. Exercise 2. To see the world with new eyes 3. Breaking the ice. Even though I haven't played the game myself, I can tell that all of these goals have been achieved. My friends have walked their dogs while pokémon catching and some of them have even met new friends or connected again with old friends while playing. These, in my opinion have been opportunities that someone chose to do something with. What a great application! It's clear that Leino thinks virtual reality is the one new thing breaking through, and in a way it already has. I also believe people will go crazy (like by Pokémon GO) when more augmented reality games are launched. People seek experiences that they can't necessarily experience in real life. 3. What does professor Quesenberry mean by four-step social media framework in her Harvard Business Review article "Fix Your Social Media Strategy by Taking It Back to Basics ". How do you consider her framework? I think the headline of the article already tells a lot. 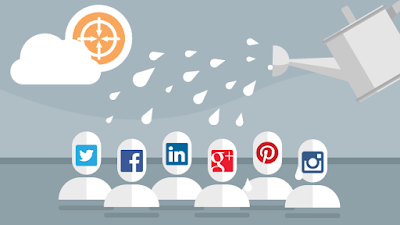 Many of us thinks social media marketing should involve every social media channel possible and it should be full of creative content that are published many times a day.. But what actually needs to be done when starting (or improving) social media marketing, is to step down a bit and start from the basics. I think this picture is great. Both your target audience (the sun) and yourself (the watering can) nurture your social media. Define the status quo. This is the exact same thing that Rautjärvi stated (earlier in the post). It's not even about the social media. It's about your company, where is it right now? Listen to your target audience. It's impossible to talk to EVERYONE. So it is very important to choose your target audience and focus on them. This is the first part where social media kicks in. Create social media content that drives engagement. This in my opinion is the most important point in social media marketing. I will keep this in mind all the time when working on a social media strategy, even when doing it for a B2B company. The company needs to be transparent enough so that the customer can become engaged to the company or the product. Link marketing to goals to social media KPIs. This point also is what Rautjärvi said. It's important to create a culture of measuring and testing. In this point social media already is in action, and due to it to work, you need to keep track on the changes, the development and the success. I think this road carries your social media much longer, than just jumping into it with no strategy. I think Quesenberry's framework is absolutely great. But this is social media marketing in a nutshell. There's so much more to social media, and these four steps does not define all of it, even though it's probably the best start. 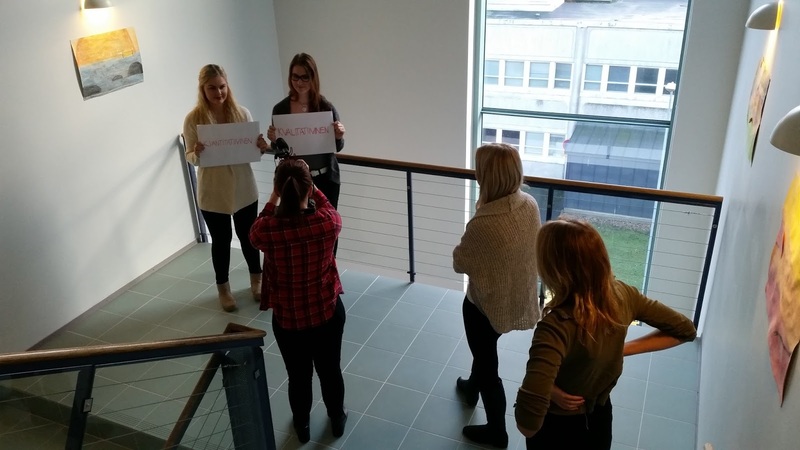 This week a new course have started: Marketing in a digital world. I have to say I'm super excited! So our first task is to share our feelings about the course and goals during it. I chose to use my existing blog and I'm actually happy to be writing again. In order to this course, me and my friend Mira are working on a project during this fall. We are making a social media strategy for a B2B company with no social media marketing at this point. This is one of the reasons why I find this marketing in a digital world - course so interesting and helpful. My goals is to dig even deeper in to the digital world. Especially B2B content marketing interests me and I'm also looking forward to learn some new tools to use in the digital world. Even tough I have participated in a few other digital business courses in the past year, I really think it is possible to always learn something new about the social network and the digital world in common. I guess the next step will be to learn in practice. Who knows where I will find myself next? 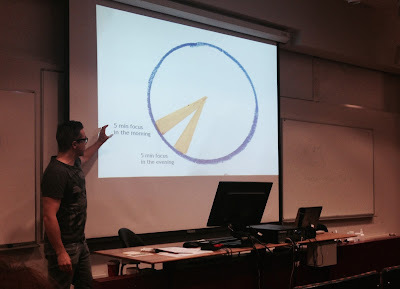 Going through our first chapter in this course, I got some thoughts about social media. First of all thinking about B2B marketing. How to make social media marketing personal enough? It is so easy to just tell the facts, but in my opinion even more important is to bring out the personality in the company. How to be proper transparent? One other huge thing with social media is that you're never alone?! Everything, and i mean everything, you post on the internet, will probably stay there forever. How to find the golden highway between personal and professional appearance. Also written text with no facial expressions or words spoken can easily create unfortunate misunderstandings. And in this case we should know how to handle them. Online. Not face to face. Social networking seems like it's not that easy after all. It may be a powerful marketing channel when used right. It can be used to show the customer direction and often customers trust thumbs up. They trust the majority on the internet. And the best part is, that if you get 10 likes for example on Facebook, you still got 100 or more views because of the connections of those 10 likers. It's all about networking. Right? There are still like a thousand of questions and thoughts in my head regarding social media, and I wish this course will give me answers and clear up my head. I also think our social media strategy will be a success when using our knowledge and by picking up every new thing to be learned! Sorry for the boring text lacking pictures! Maybe next blog post will be more visual? 15. THE LAST WEEK - check out the final videos! Hello! Oh my god, this fall has gone super fast. I feel like it was just last week we continued school after summer vacation. 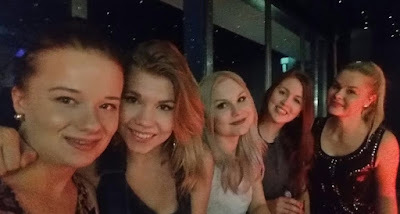 And now in a couple of weeks it's already Christmas..
First of all I want to thank my super group FTS13: Nelli, Mira, Linda, Tanja and Ria, like I predicted in some of my first blog posts, together we make one hell of a team! Also thank you to the mentors and the digital coaches, this course has by far been the best course in my 1,5 years of business studies. Of course this is school and sometimes it felt though and boring, but mostly we got the opportunity to be creative and do what we like the most: videos. In 15 weeks we have done 11 videos + two animations. Not bad! On Monday I wasn't able to join my team. But they had shown the unfinished final presentation video to the teachers and they loved it! So on Tuesday we finished that video plus the short introduction video. In addition to those we also finished a video that we made for Emotion Tracker as an example of what they could use in a launching campaign. So on Wednesday we had a day off. Nice! Motivation on Tuesday! My friends dog Hilla. I have to say, the videos are amazing. Especially "Our story"-video, is going to be a great memory of us working together and all the fun we had. Please check the videos out here below and let us know what you think. On Thursday we had the final presentation seminar. I was genuinely surprised how great it was! Almost like we graduated. Or actually we did in a way, we even got a certificate. As final words I want't to compare digital business with my dear hobby horse back riding. When riding a horse you're never going to be perfect. It's constantly new learning, getting hundreds of mussels to work at the same time, not only your own, but also the horse's. The same thing is in digital business. Every day you can learn something new, and every day you will learn something new! Keep your mind open. Strive to be perfect, but keep in mind that you will never be. Depressing? Don't let it be, you CAN be the best. Not perfect, but the best. I feel that I took a huge step closer to be a master in digital business this fall, but I still have lots and lots of things to learn. Next year round two! Most of our team members have singed up to be digital coaches in the digital business course starting in the beginning of next year. Looking forward to it! Now I'm starting mt Christmas break, take care and see you later! 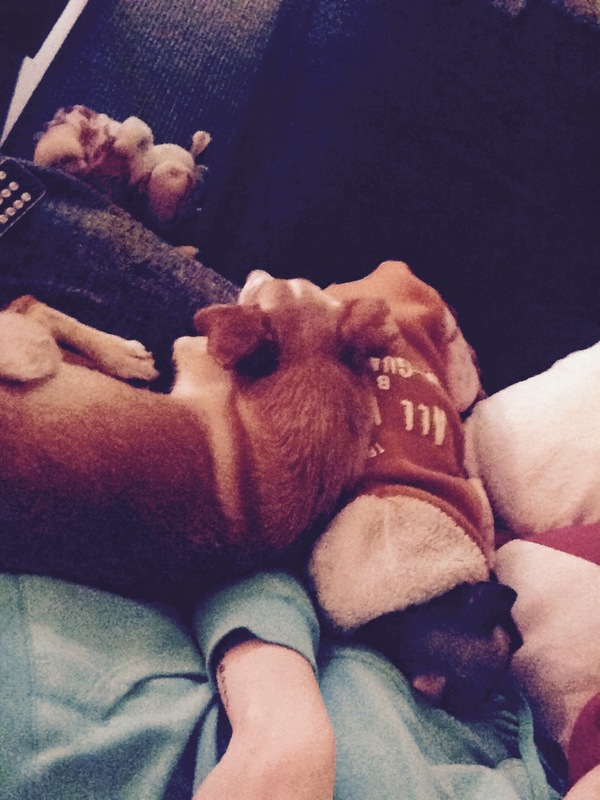 For the first time Martta's sleeping side by side with Hilla. Hi you all! So this was the second last week! Soon it will be over. Good or bad? I think both. This have been a very great course which have both educated and entertained. I have learned about digital and content marketing, gotten inspired many times and best of all, I have had an awesome time together with my team and other people involved! But back to business.. So on Monday we had our last lectures. The first one was held of Mika Aittamäki. 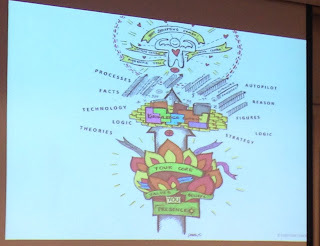 I really liked this lecture as the subject was selling in the digital break trough. The first thing he told us was that people like to call the digital break trough a "tsunami". A tsunami all though is a great wave, but eventually it will pull back. In his opinion, and I totally agree, the digital break trough is any way more like a more constant rising of the water. It will not pull out. Nowadays the customer has the power. The marketer has to stay focused on the consumers all the time. It is so easy to find information, better offers and better products every where and all the time. But an important thing is to remember always that there's a human behind the internet. Always, no matter what. It's also important to know the difference between a traditional seller and a digital seller. If you're an awesome traditional seller, selling face to face, it doesn't mean that you're a great customer servant in digital. In the digital world the written skill is much more important than the social face to face ability. Aittamäki had some super points of views. After him Nikalas Litmala told us about Leijona Academy, and the lectures they provide free for students in Helsinki. And then the last lecture this fall! 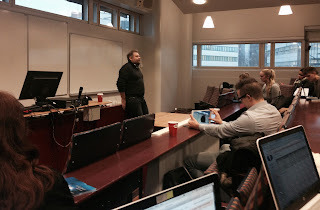 Wow, time flies.. Our mentor Ilkka Kurkela held again an inspirational lecture about digital humanism. Aristotle said that there is three things that effect a human mind: Ethos, Pathos and Logos. Rational, emotional and ethical appeal. Ilkka combined the rhetorics & modern marketing. The comparable appeals in modern marketing is spirit mind and heart. The funniest thing in this ending of the course is the videos we are making, one that's our final presentation video (it's so awesome!) and then a short introducing video of the course. The videos length should be about 15 seconds, and as it turns out it seems to be a hundred times more difficult to make such a short video... Which clips to use.. How to make it dynamic.. But I'm sure we're going to find it out! Hello! 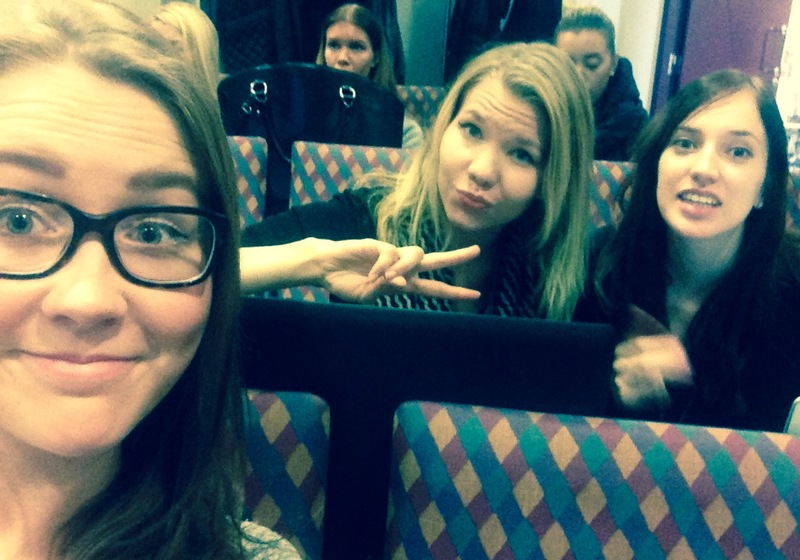 What does Silja Symphony and lectures have in common? Well, actually nothing this time, but on Sunday our group (and a lot of other Laurea's students) headed to the harbor and Silja Symphony! I think we really needed this and we had a lot of fun together! But enough of this topic. FTS13 on Laurea on Boat! On Thursday we first had a lecture by one of our digital couches, Arman Hosen Nuri. The topic was Digital Marketing. 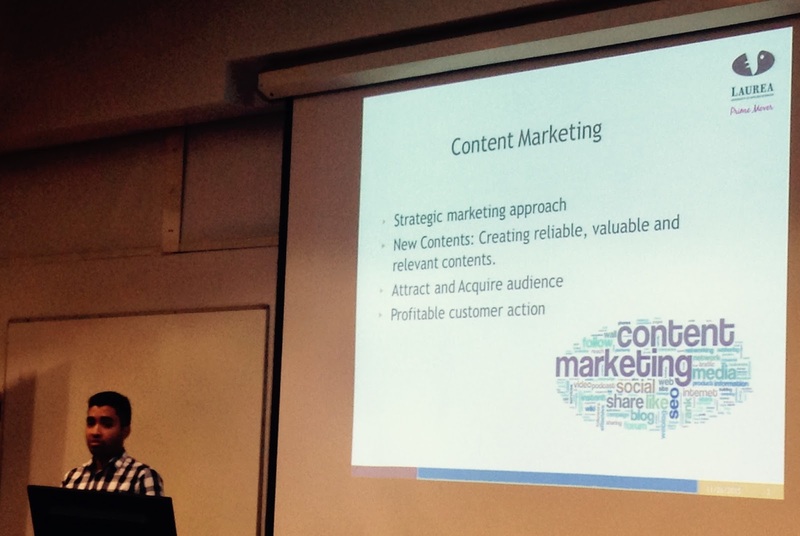 The meaning is to do strategic marketing by engaging customers and creating reliable, valuable and relevant content. Arman showed us a interesting showdown between Coca Cola and Pepsi. I will link both videos below. Which one do you like to most? In my opinion these kinds of marketing videos are an excellent way to engage the customers through digital marketing. After the first lecture we, the students, held our own lectures about something we were interested in. This task was given already a several weeks ago, but our group got to present it on this day. You can find the blog post of this task HERE. 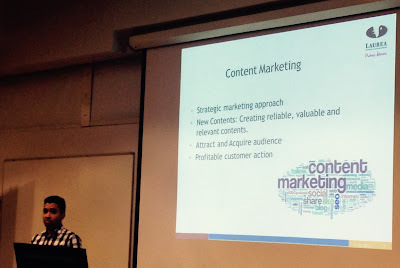 The link to the Prezi presentation: Video Marketing. 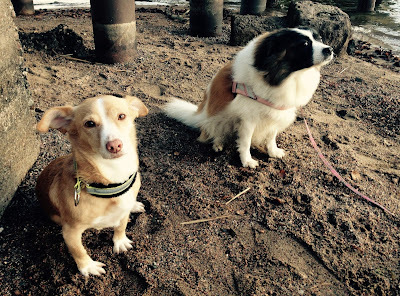 Martta and her new buddy! Hello! This week started straight with a couple of very inspirational lectures! Mondays are definetly not my favorites, but this time it was just great! The first one on Monday was held by Jaakko Alasaarela, the CEO of ZEF Solutions. You can check out the company's website in the link. 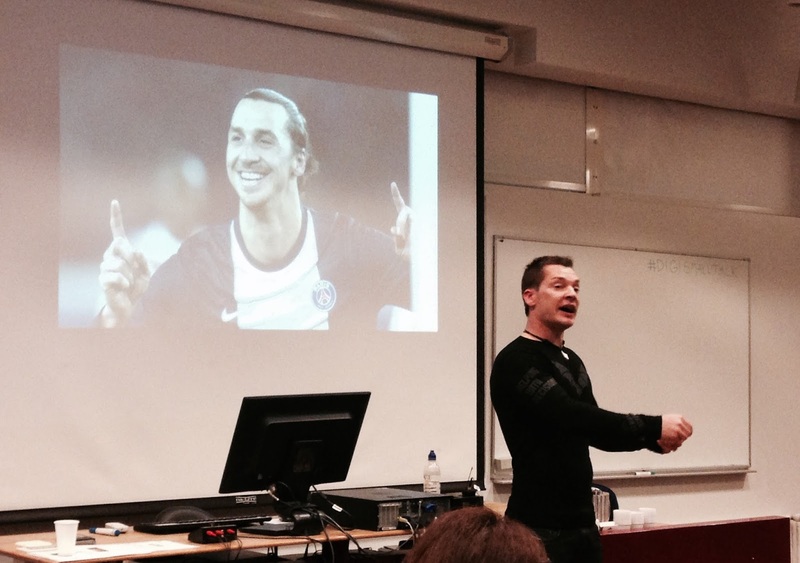 Jaakko Alasaarela and Zlatan as inspiration. 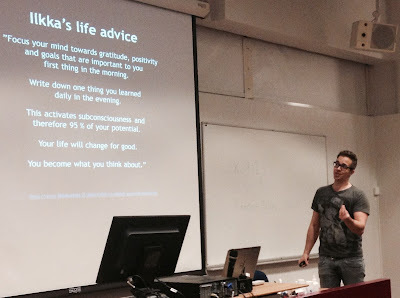 Jaakko talked to us about dreaming, achieving and passion. First of all 98% of people doesn't write down their dreams, including myself. But the 2% who does, are in general more happy in life. I think that is something I need to try out. Secondly, everyone should figure out the one thing why he or she is NOT giving up, no matter what. I can think of some things that keeps me going, but I can't find that ONE thing. This is also something I'm going to work on, especially when not knowing what to do with life. We need to think that whatever comes in our way, WE CAN DO IT! I can do it. Every one can, if they so want to. 2. PASSION - Let's change the world. Problems are solved straight away, giving up is not a solution. 3. COURAGE - Use the courage to change with the world. Don't feel scared, as a team everything can be done. 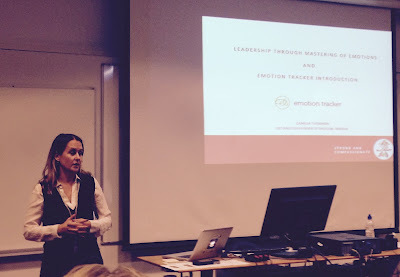 The second lecturer were no worse, also an amazing person, Camilla Tuominen, the CEO of Emotion Tracker. She lectured us about mastering emotions and the importance of understanding them, both our personal emotions but also others. 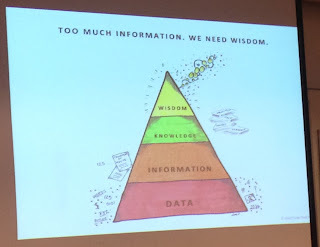 "Too much information. 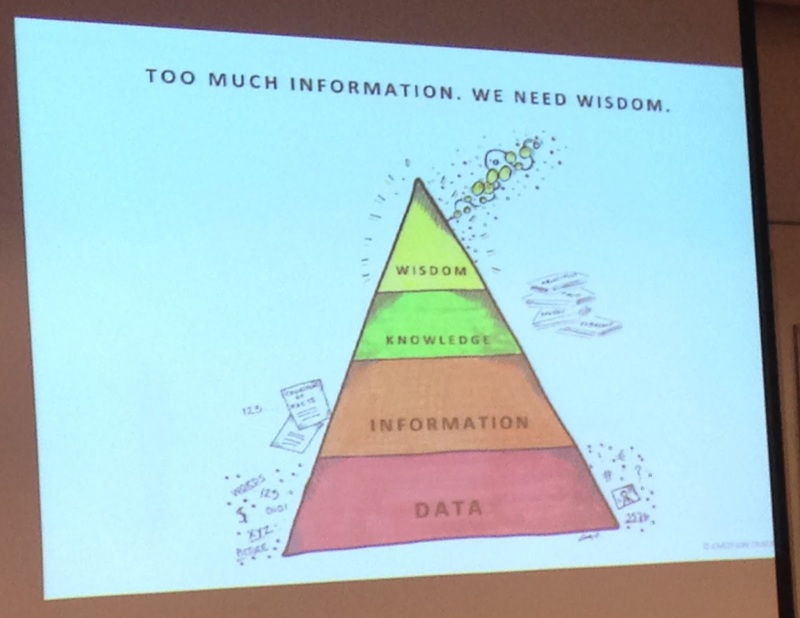 We need wisdom." This, and two following pictures are Camilla's own drawing. Super talented! "You have to know your system." 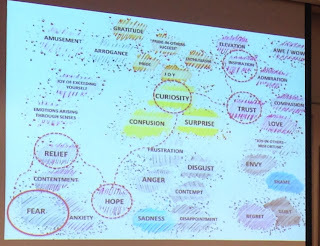 "Emotions are energy and information." "Have the courage to look at your true emotions." "Become aware and learn to choose your response." These lectures started the week perfectly. 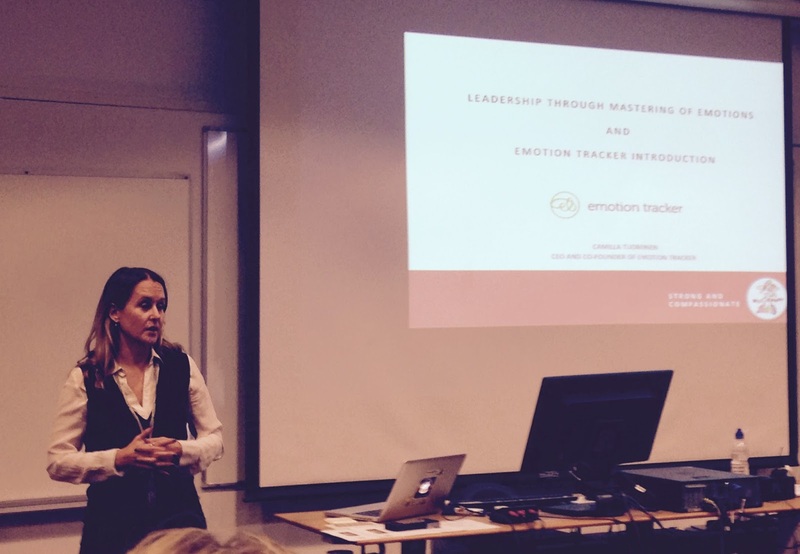 Tuesday and Wednesday we worked with a group task and the tasks given by Emotion Tracker's Camilla Tuominen. We have some great ideas for Emotion Tracker, let's see how it works out! 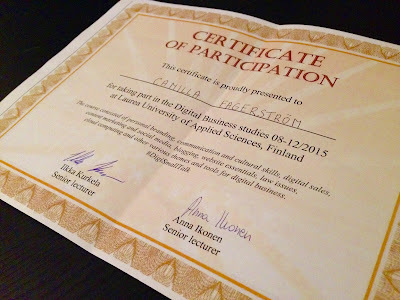 But the group work was to analyse a bunch of thesis's (opinnäytetyö). Personally I think this was not that relevant to this course, especially when we are (or some have already) fulfilling a course just analyzing and learning about thesis's. But anyhow we made the most out of this too and made a video again! It's about the methods used in the thesis's. Find the video below! On Thursday we had two more lectures. They were held by our digital coaches. 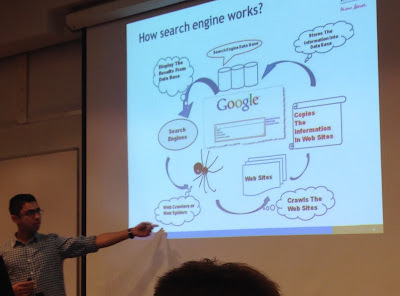 The first one about SEO (Search Engine Optimization) by Jabed Kaisar. I'm sure I have talked about SEO earlier in this blog also, but briefly it strives to make better visibility for a website or blog. 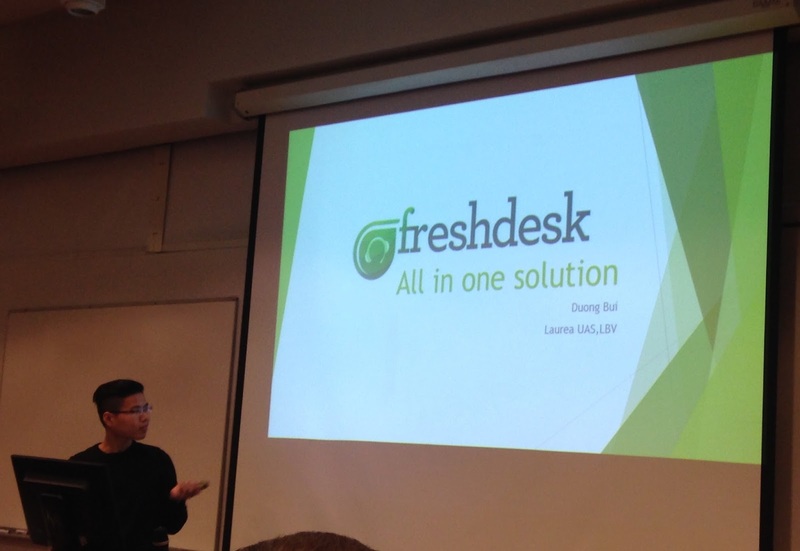 The other one was about Freshdesk by Bui Duong. Freshdesk is a partly free ticketing helpdesk software, designed to make life easier. I have never heard about this before, but if any time needed then why not! These guys did very well with their presentations and knew the stuff they were talking about, and I appreciate that. This week the Monday lectures were the stars of this blog post, but any information is great information on the path of learning! On Sunday almost the whole FTS13 group (except Tanja :( ) goes Stockholm! See ya next week! Hi you all! This week has been all about law. I'm so.. exhausted, not excited this time I'm afraid! 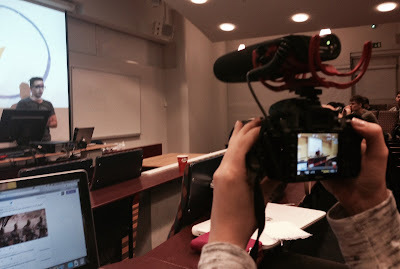 On Monday we had a lecture by one of Laurea Otaniemi teachers, Marjaana Marmo, with the topic law issues. Like most of the lectures, also this were held in English. It was really tough to listen to all these law terms in a foreign language and it was difficult to catch up. Actually I'm not that into law in general, but I very well understand that it is extremely important to be familiar with this topic. Like Marjaana said, it is not usual that companies have their own lawyers, but it is every employees responsibility to know the basics. Especially the employer should have knowledge about this. The lecture were mostly about binding contract. Who, How and When? WHO - First of all, to have contractual competence you have to be over 18 years old. There's also some more detailed laws on minors doing contracts, but I don't find it relevant to this blog. The who-part also includes that the contract can be made by natural persons (like you and I) and legal persons (companies). HOW - Drafting a contract: 1. Offer 2. Period of validity 3. Response. Offer and response leads to a binding contract. The contract can be both in written or in oral form. I personally prefer a written contract, it's nearly impossible to prove something if there's some issue with an oral contract. WHEN - Well.. When your making a deal with somebody? No matter if it is a job contract or a business contract. So simple is that. The more important question, I believe, is what to include to the contract. Because this is a digital business course, we also talked of course about social media. But social media is such a new thing, there is no precise laws and the issues have to be solved by adapting from other similar laws. This week we also got a whole bunch of tasks regarding the law issues. We started doing them on Tuesday and continued on Wednesday. There was a lot of work, and unfortunately we stated that this week we will not be able to make a video. Boring, I know! The tasks were mostly based on consumer protection and commercial law. This topic was after all quite interesting, but my head is spinning round after this information flood, and I feel I can't actually write down anything clever.. The law issues are a huuuge area. But I think you all know that. Or at least you will know. On Thursday we went trough the tasks, which I think was really good. I learned a lot and stayed focused the whole lesson due to the lecture language, Finnish! If nothing else, I know I'm going to be more sharp when it comes to customer rights! As I said this week was mostly about law issues, and I'm a little disappointed on myself this week. My dog has been bored the whole week and I had to priority school work and hobby over her.. But next week hopefully will be easier and I can spend more time with the brown beauty! She really deserves it. 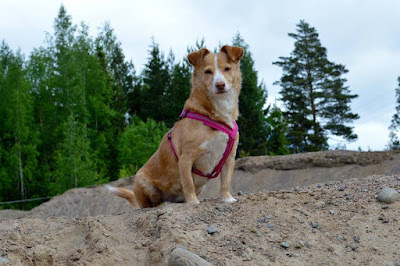 But today it's Friday and were going to my boyfriends cottage with a pair of friends and all the dogs, so it's going to be a lot of fun and relaxing! 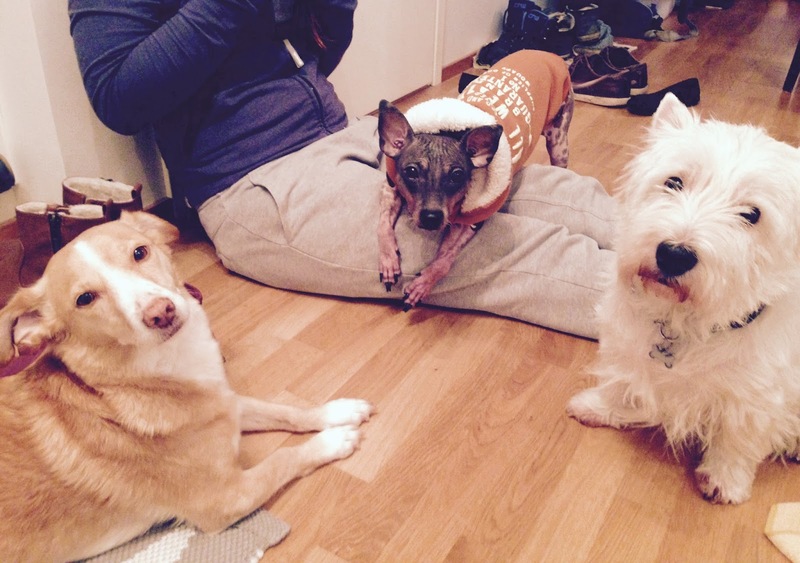 Martta and the best friends! Hi! I'm Camilla, a 22 year old girl studying business at Laurea University of Applied Sciences. This blog is my learning diary regarding our Digital Business course this fall 2015.